While visiting a few rock art sites around Escalante this past weekend, I unfortunately encountered plenty of vandalism to some of the panels. This panel, above the Escalante River, was one of the worst. 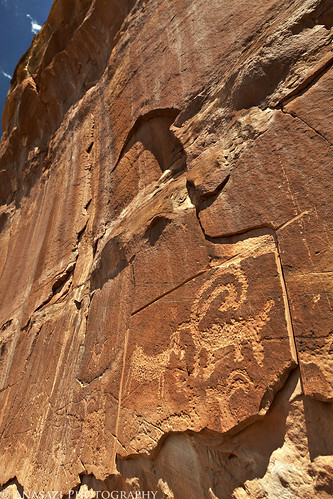 As you can see, someone decided they wanted these petroglyphs to themselves (or to sell) and tried to remove them, damaging the lower portion of the panel in the process. It’s troubling to me whenever I encounter something like this.